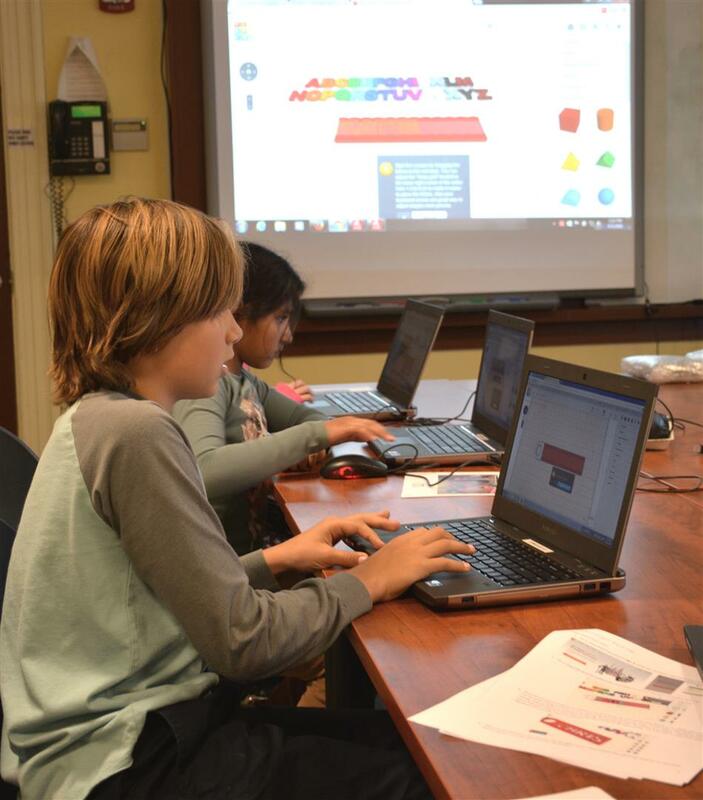 Students at New Canaan Country School in Connecticut hard at work using Computer Aided Design (CAD) in Global Inventors, one of several Level Up Village (LUV) courses offered by NCCS during its after school and summer enrichment programs. In each LUV course, students develop global competency through their collaboration with partner students from around the world. Global Video Game Designers taught students to create their own interactive video games in collaboration with global partners from Kenya and Uganda. 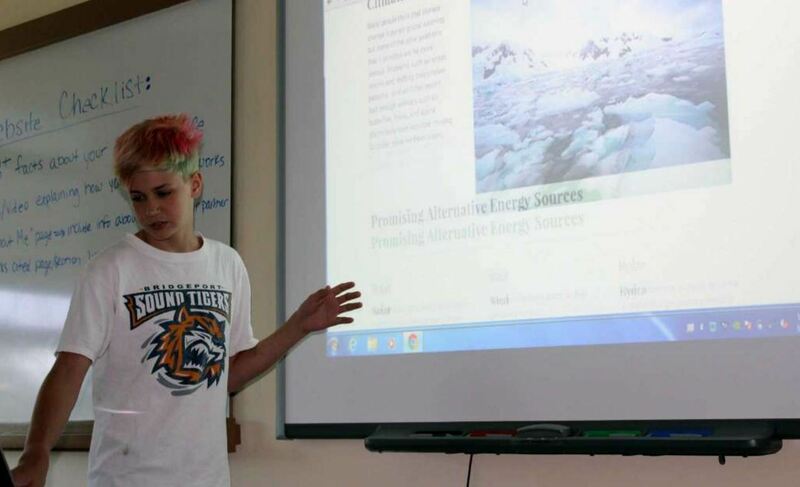 In Global Web Designers, students worked with partners in India to design and create a website that proposed possible solutions to global climate change. What kinds of things did students learn about each other? Here’s what one student said about his partner in Mumbai, who takes Level Up Village courses through Masoom, an organization that provides education enrichment, hot meals and more, to children who sell vegetables or make shoes during the day. “His name is Rahul and he’s 14. He works in the days, and then he goes to school at night. It’s pretty crazy how he does that,” said eighth grader James in an article in New Canaan News. “ We talked about if he were visiting America, where I would take him? I said probably New York City. He said he’d take me to the Elephanta Caves. NCCS also runs Level Up Village courses during the school year as part of its after school program. After participating in Global Inventors, Level Up Village’s 3D printing course, fourth grader Jack worked with a partner in Ghana to create animations and code games, while learning logic, coding and presentation skills in Global Video Game Designers. “The video game course was really fun because you got to use this really cool Scratch program to make your own video game. You’d get to talk about your projects and progress. My partner made videos for me to watch, and I could see that he had worked on our project,” said Jack. Earlier this year, students in K-2 participated in Global Storybook Engineers, using materials such as spaghetti and marshmallows to engineer solutions to rescue story book heroes, while sharing design ideas and discovering what they have in common with their partners in Nicaragua. 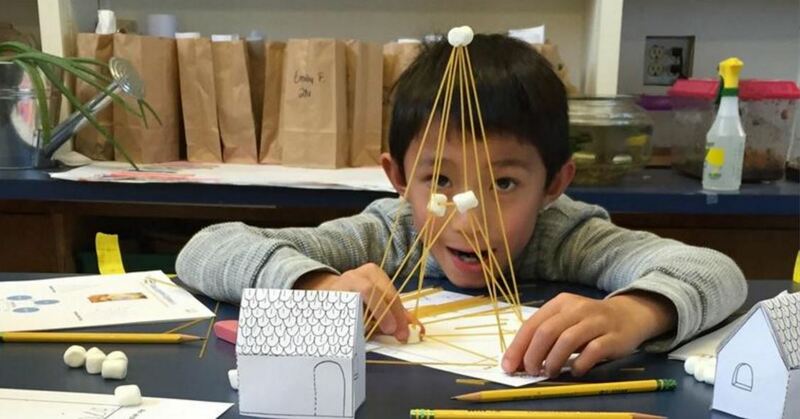 Younger students used their ingenuity to create solutions for storybook heroes in Global Storybook Engineers, a course that combines literacy with engineering. Students then shared what they learned with their global partners by exchanging video messages. The Level Up Village partnership with New Canaan Country School has been featured in New Canaan News, One.org, Flashes Magazine in the UAE and on the Level Up Village blog.